One of the most interesting aspects of my job is that I get to work so closely with such a wide variety of people and personalities. Coming into people’s homes, especially at a time when they’re vulnerable and emotional, lets you get to know them in a hurry. I can honestly say that I’ve never met two families that really reminded me of one another. The difference between every family I’ve worked with is simply astonishing. And, obviously, as the demographics that define the traditional “nuclear family” have shifted over time, those differences have gotten so much more varied and fascinating. One thing that seems to remain somewhat constant though, is that there’s usually one parent who I would define as the primary caregiver. I’ve seen families where parents split the childcare duties 51-49, and I’ve seen others where one parent tackles the feeding, bathing, supervision, education, and doctor visits, and the other reads them their bedtime stories. Both of these scenarios, and everything in between, are absolutely fine by me, of course. Iv’e said it before and I say it again - I hold no judgement of the way that you decide to parent your children. Any two people who can reach an agreement on what works for them in terms of raising their family deserve a medal, as far as I’m concerned. But let’s not kid each other, sleep training is a tough job. You’re obviously sleep deprived by the time you decide you need to take action, and you have a few nights ahead of you that are probably going to test your patience and determination, and if only one person’s involved, it’s going to be that much more of a challenge. So I write this post to you today, dear secondary caregiver. 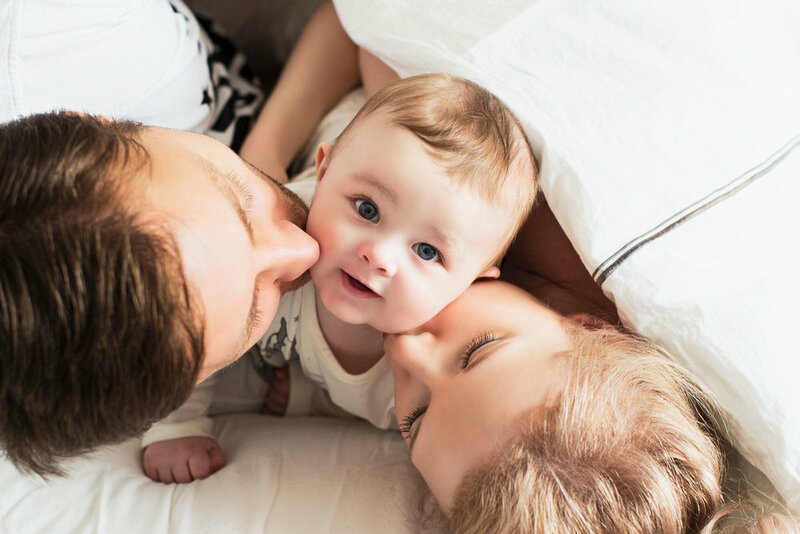 If you’re feeling left out of the child-rearing process and wishing you had more of an opportunity to bond with your baby and take some of the parenting stress off your partner’s shoulders, this is your moment. And let me tell you something... no dinner at a 5 star restaurant, no front row concert tickets, no trip to a tropical paradise, is going to solidify your place as your partner’s hero quite like taking a leading role in getting your baby sleeping through the night. I am not even slightly exaggerating here. If you’re reading this, I would guess there’s a decent chance you’re already feeling the effects of at least a few nights of sleep deprivation, so you don’t need to be told how serious the effects really are. The thought of months or even years of this seems like an impossible situation, and your partner undoubtedly feels the same way. Is it easy? No, not particularly. Sleep training can be challenging. There’s likely to be some crying, some moments of doubt, and a few trying nights, but everyone I’ve guided through the process has told me unreservedly that they would do it all over again in a heartbeat now that they’ve got their baby sleeping through the night. So now that you’re ready to take the reins on this horse, I’d like to speak to the primary caregiver again. Call them into the room, hand them your tablet, pass them your phone, whatever the situation warrants here. Are you there? OK, good. So check this out, you lucky duck. Your partner is awesome. They totally recognize your efforts in raising your baby and wants to pull a little extra weight to make up for all of the hard work you’ve done. They want to take an active role in helping you get your baby sleeping through the night. So congratulations on your excellent choice in a partner. So what’s the catch? Well, you have one very simple but difficult task here. You have to let them do it. As the chair of the parenting department, that might be difficult. You’re probably used to having the veto power when it comes to baby-centered decisions, but I want you to relinquish that for a while. (And speaking from persona experience as the primary parent who is also quite “type-A” and, dare I say, controlling - this is also not an easy task). Sleep training requires consistency, and you and your partner should have a well-established plan that you’re both comfortable with, but there’s room for each of you to have a different style within that framework. So resist the urge to hover over your partner as they figure out their own approach. It’s vital that they know you’re confident in their parenting abilities. Micromanaging some-one else’s parenting is likely to result in them just throwing their hands up and saying, “Fine, you do it.” Then you’re on your own again and your partner probably ends up harboring a hint of resentment. Don’t undervalue what you’ve got here. This is someone with a deep and genuine love for your child who’s available and eager to help you with one of the most daunting challenges of early parenting, and they’re willing to do it for nothing! There are a lot of single parents out there who would literally step over their own mothers for that kind of an offer. So be cool. Let your partner do their thing. You might be very pleasantly surprised at the results they get, and you get to enjoy the rather sublime experience of watching them build their own little set of inside jokes, routines, and nuances. It’s like the sweetest thing in the world. So now bring your partner back into the room, would you? I want to talk to both of you together here. Go ahead, I’ll wait. Both of you there? Alright, good. Listen, what you’re about to do is really going to do amazing things for your little family unit. 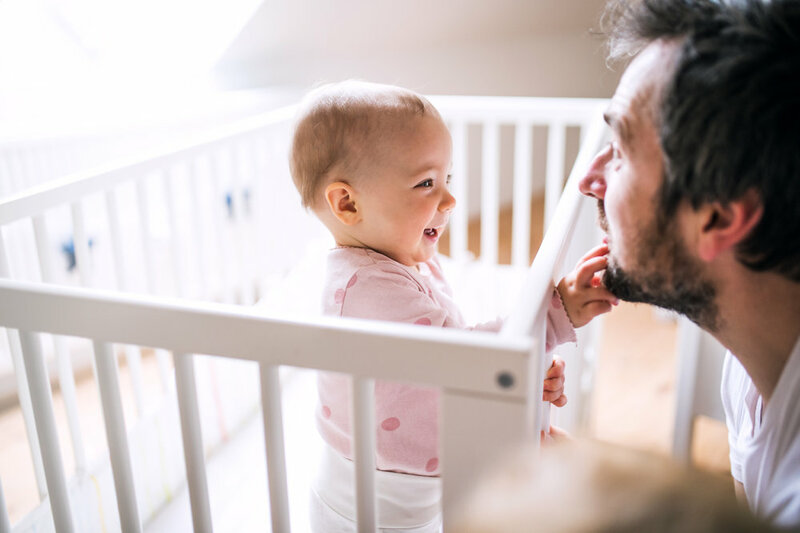 You’re going to get your baby sleeping through the night, which means you’ll both be sleeping through the night again, but you’re also committing to doing it together, and that’s going to make this endeavor even sweeter. You’re going to learn how supportive you can both be in some tough moments, how much stronger the two of you make each other, and how unstoppable you are when you parent as a team. 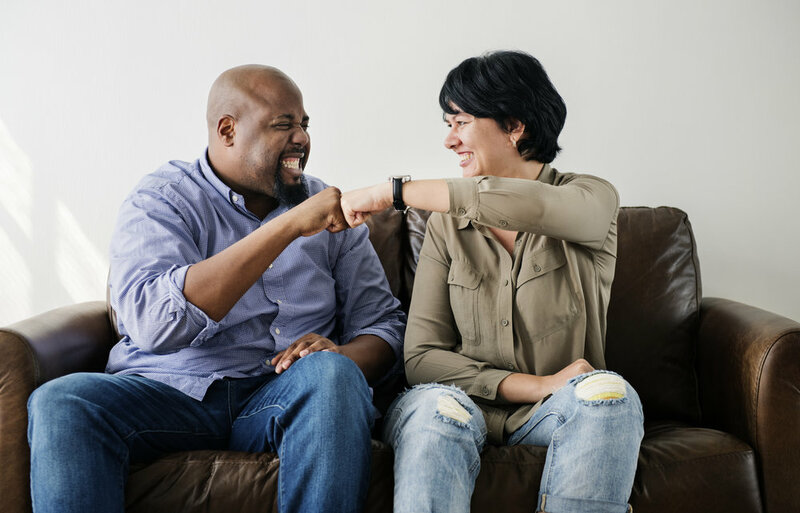 You’re taking a problem that could seriously deteriorate your relation- ship and agreeing to tackle it together, and I think you should both be very proud of that. I hope it goes smoothly from the jump, but just remember if it doesn’t, I’m always here to help. Two parents presenting a united front is a mighty force, but those same parents armed with an expert to help them through this process, well that’s practically unstoppable.